Winter Fashion Graphic : It's So You! A couple of days ago (January 6 to be exact), I went out to my car and had the SHOCK of my new year: I had to scrape frost off my car's windshield! Imagine that? 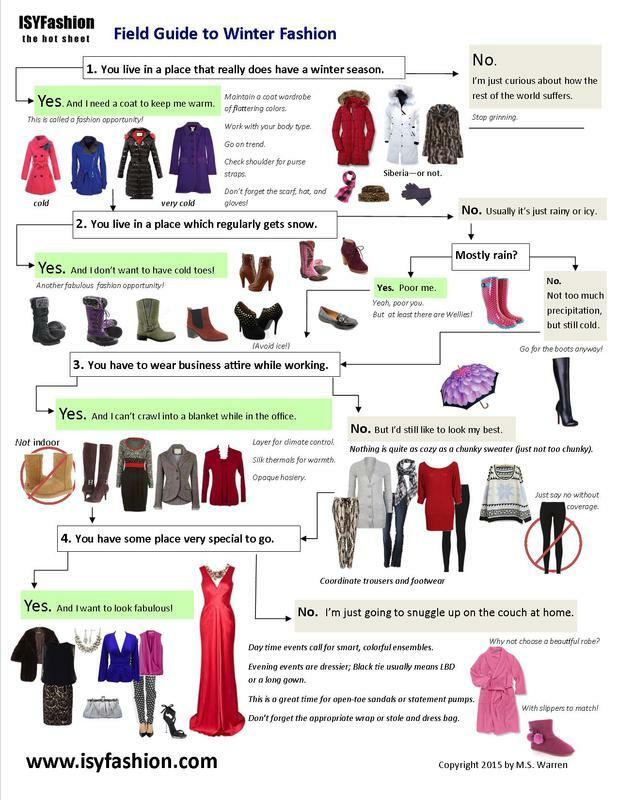 I guess it's time to drag out the ol' "Field Guide to Winter Fashion."